Do not miss out: pristine home with an open floor plan. Completely upgraded. This single story home has 3 bedrooms, 1 bath, with 1,424 sqft. Of living space with upgraded kitchen and bathroom. You'll feel right at home as you enter into the amazing kitchen with granite countertops boasting modern features such as the over-sized island with sink and dishwasher that seats four, custom cabinets and stainless steel appliances. See supplement. 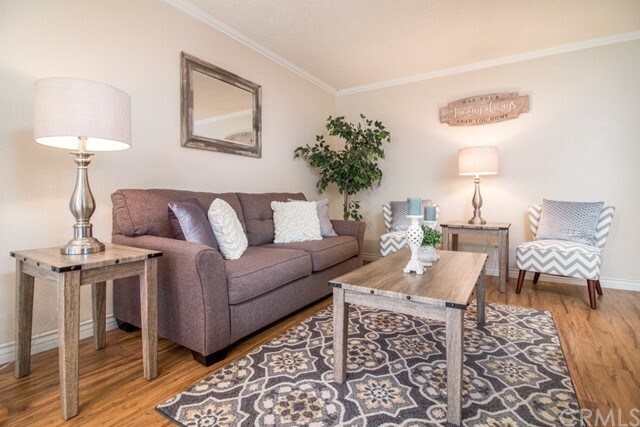 Turn key, absolutely adorable, upper end unit condo in the heart of san diego. Its like living in a tree house. Private balcony looks out to the tree tops. Fully loaded from wood laminate floors, brand new carpet in aster, crown molding, custom baseboards, granite kitchen counter tops, remodeled bathroom, mirror closet door and so much more. Great location and close to everything san diego has to offer!